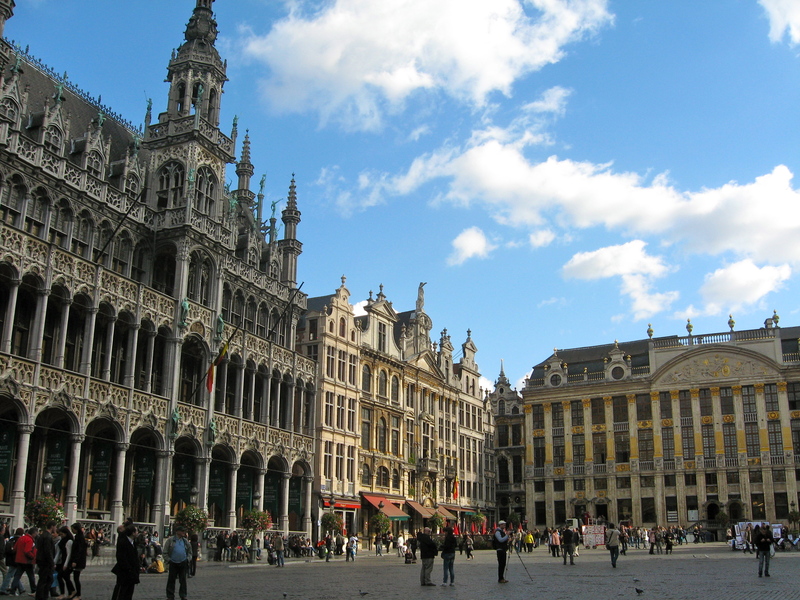 Long-time readers of my Blogger blog will recall that last fall I embarked on a chocolate-tasting journey through Belgium, France and Switzerland. What an amazing taste-tantalizing two weeks that was! 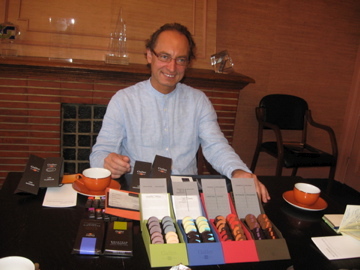 Well, I’m thrilled to say that the tickets are purchased, the reservations made and the Euro chocolate tasting resumes on Monday, September 20 when I fly to Amsterdam, Barcelona and Italy for more of the best European chocolate available to chocolate lovers anywhere. Yes, my waistline will suffer. But all in the line of duty for you, my dear readers as I continue my research along the Chocolatour. Stay tuned to this blog for news on the release date of the book. 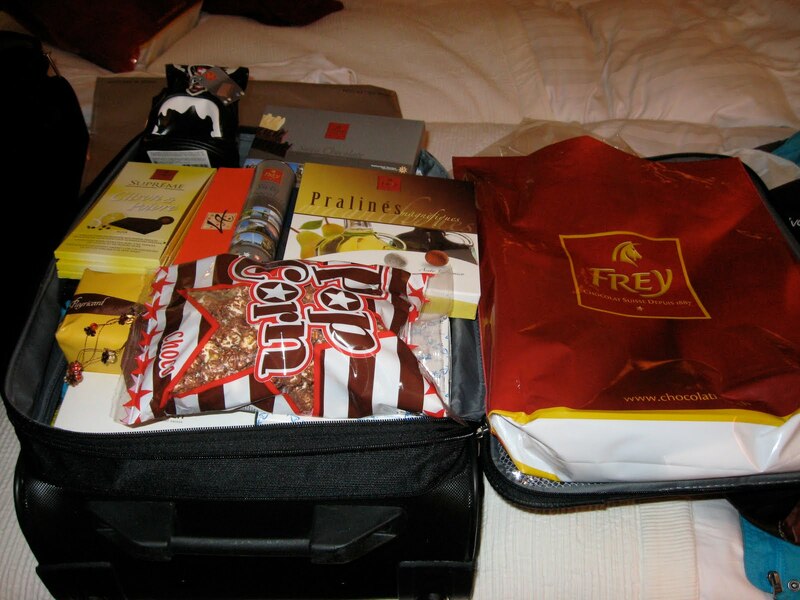 Last year I came home with a suitcase literally filled to the brim with the most amazing chocolate from the most innovative Belgian, French and Swiss chocolatiers. Can the experience possibly be beat? I had oodles of fun, and learned much from chocolate connoisseur, friend and travelling companion Kathe Lieber of Montreal. This year, I’m travelling with vivacious Virginia Heffernan of Toronto, a fellow writer, chocolate and wine enthusiast. I’m thinking it’s going to be an amazing trip! I’ll make the next post to this blog on October 5th, the day following our return. But to whet your appetite, please take a look at last year’s reflection of “Take 1” here. I’ve just returned from 2 weeks in Europe, meeting some of the world’s best chocolatiers — all in the way of a good day’s work. 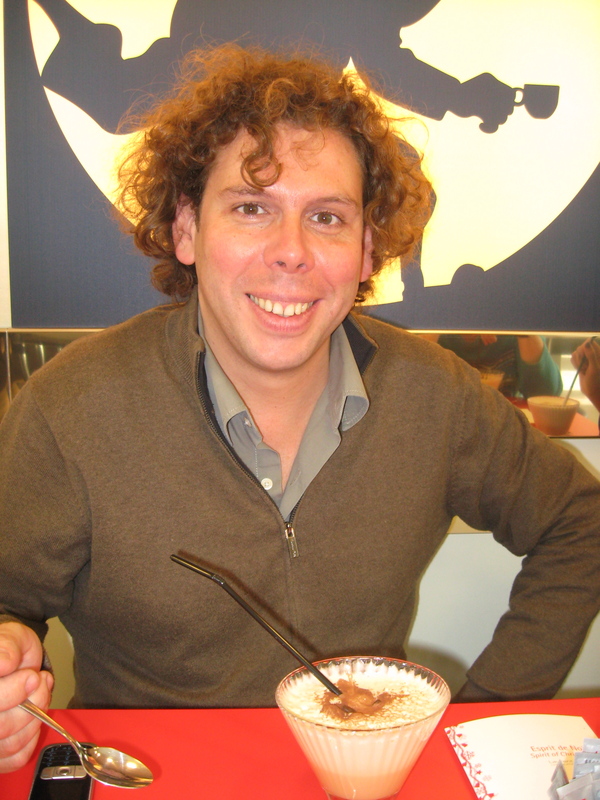 My next book will be about chocolate. There will be much more about that as time goes by. And then there’s the second suitcase. The size you use for a long weekend of travel. I took it nearly empty, knowing … hoping … that I would be coming home with lots of chocolate. And sure enough, I was right. So much so that I had to unzip the expansion pocket on the suitcase just to fit my treasured stash without crushing its valuable contents. The trip began in Montreal on October 9th, where I enjoyed a tremendous lunch with friends at a trendy restaurant specializing in chocolate, then visiting a remarkable chocolatier in Pointe Claire. A great way to begin a voyage of chocolate discoveries.We flew from Montreal to Brussels (via London) with British Airways (BA.) The staff on BA is always friendly and courteous. They seem to enjoy their jobs, making travel so much more pleasant than what I’ve experienced on various other airlines. I’d highly recommend them for overseas travel and we are using forward to enjoying their service again. 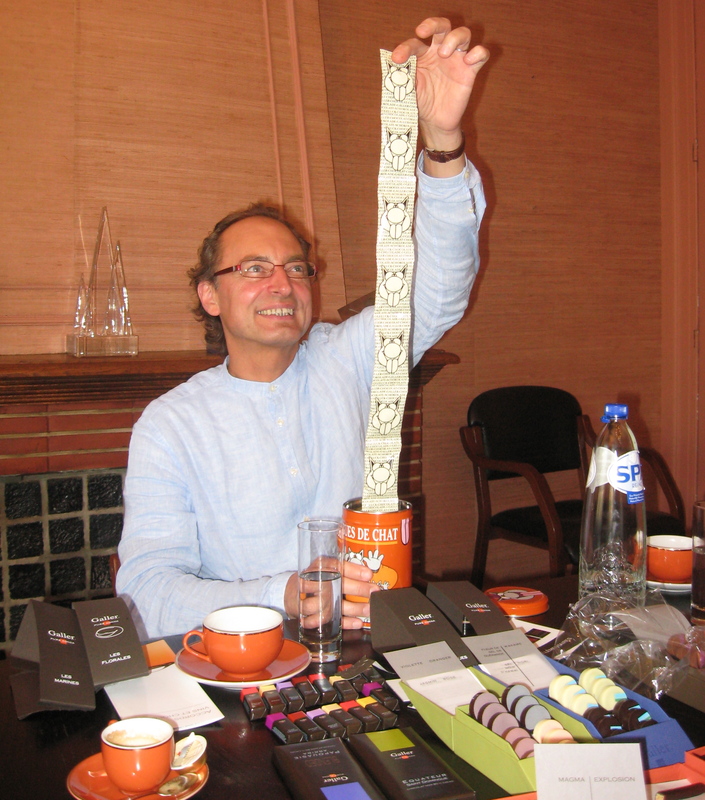 Throughout our three days in Belgium we met several memorable creators of chocolate magic. I’ve always loved Belgian chocolate and now I know why. 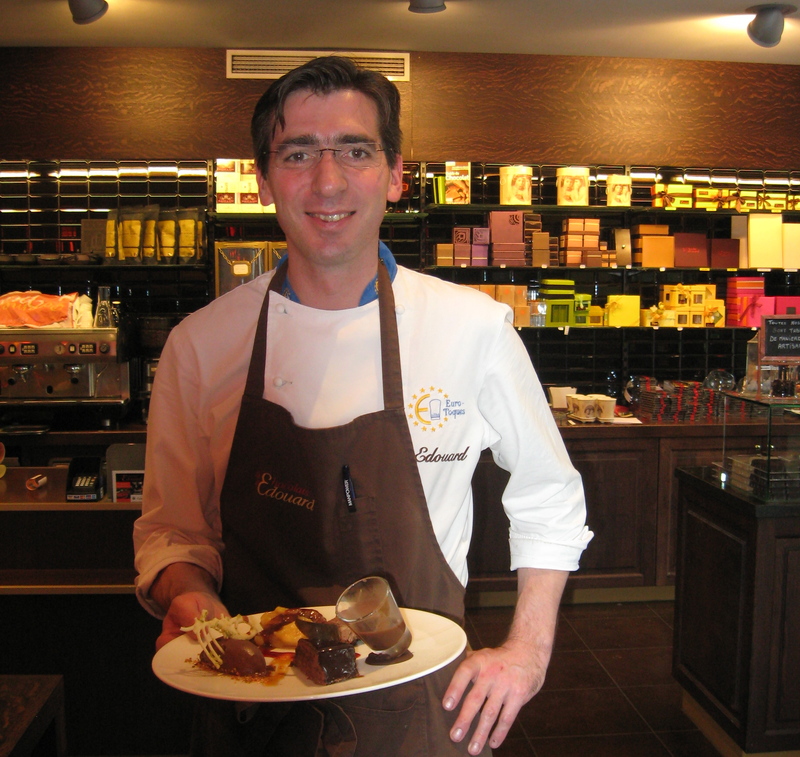 No one takes greater care than the Belgians in making chocolate much more than just cocoa butter, cream and sugar. Those 3 key ingredients are only a small part of the amazing chocolate creations we were introduced to. The Belgians really know how to innovate with chocolate. France was included in my itinerary because the Salon du Chocolat and the World Chocolate Masters Championships were taking place at the same Paris venue mid October. How could a self-declared chocoholic not take in the world’s largest chocolate extravaganza? 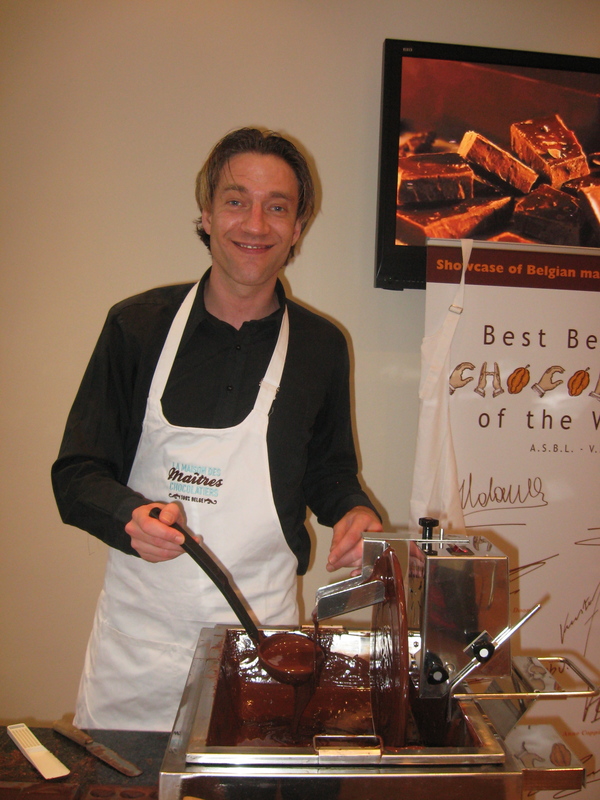 The Salon du Chocolat offered consumers an amazing selection of chocolate delicacies, enhancements and accompaniments. The World Chocolate Masters event introduced me to trend setters and key people in the chocolate industry from around the world. A most enjoyable visit to the south of France topped off the French experience and introduced me to yet another amazing chocolatier. Our trip concluded with four days in magnificent Switzerland, a country whose thriving economy pays tribute to the chocolate industry. The Swiss take pride in eating the world’s most chocolate on a per capita basis and in producing the world’s greatest abundance of chocolate products. I came away with a greater respect for Swiss chocolate, thrilled to see that the country best known for its creamy milk chocolate is now producing an increasing amount of impressive dark and delicious delicacies. Hats off and thanks to my translator, part-time navigator, full-time friend and fellow taster, Kathe Lieber for joining me in this endeavour. Her new knees served her well as we navigated our way through some of the world’s best museums, houses of chocolate and other memorable places. More on that later, too. But for now, I just wanted to assure you that I am alive and well and probably a few pounds heavier than when embarking on this journey.